Home » General Real Estate News » Sandia Mountains at your Door Step! Sandia Mountains at your Door Step! 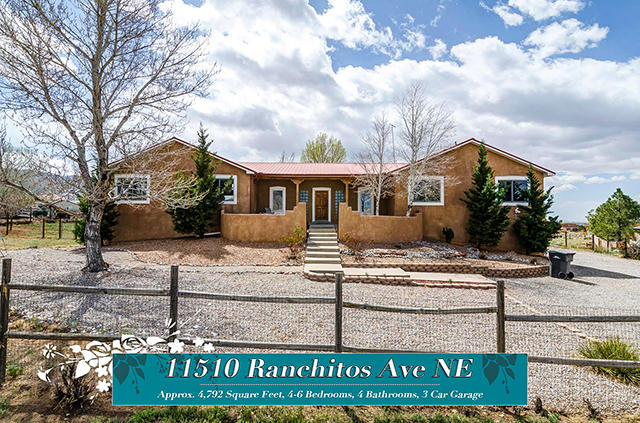 True North Albuquerque Acres Living with room to roam, situated on .89 acre lot! Generous spaces for relaxing and entertaining, graciously appointed with an updated kitchen and bathrooms, incredible great room with walls of view windows and a 1393 sq. ft. basement. Back yard access and a large workshop in the oversized 3 car garage!